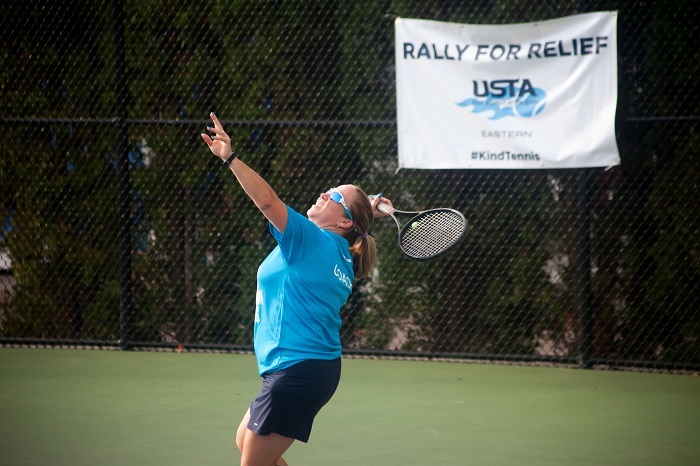 USTA Eastern hosted a Rally for Relief event at the USTA Billie Jean King National Tennis Center on Saturday to raise money for natural disaster relief. All proceeds from the event were donated to the Hispanic Federation UNIDOS Disaster Relief Fund to support Puerto Rico and Mexico following the devastating natural disasters to strike the nations recently. Cruz, along with USTA Eastern’s Tennis Service Representative for the Metro Region, Gustavo Loza, put the event together in a very short timeframe. Loza, a native of Mexico, was personally affected by the earthquake that rocked Mexico City, and knew he wanted to help. The National Tennis Center opened up the courts to be used for the round robin doubles tournament portion of the event, Cruz and Loza worked to bring together as many people from as many backgrounds in the tennis community. The original goal was set at $5,000, but the event’s success increased thanks to the kindness of people who attended and donated as more than $10,000 was raised to provide relief.